This kennel deck keeps dogs elevated and away from moisture and bugs. 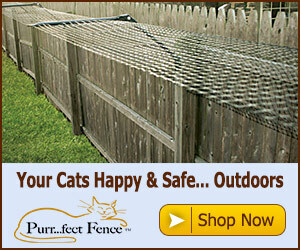 Provides a comfortable, sanitary surface for dogs in cages, runs, etc. or place under their doghouse, to keep it off damp or rough ground. Non-skid, odor-repellent surface resists mold, mildew and disease-carrying bacteria. Will not absorb ordors. Will not splinter or flake. Kennel deck is easily cleaned by hosing with your choice of disinfectant. Standard 2-feet by 4-feet sections can be connected with no-cost clips or cut with a handsaw for smaller areas. Actual weight is 8-1/2-pounds. Includes two clips for fastening more than one piece together and fifteen rubber-feet with screw ends, to be pounded into the base to make it non-skid per the manufacturer. Made of molded, hard plastic material. Measures 47-1/2-inch length by 24-inch width by 2-inch height.